The surface of the boots should be clean and dry. 1. From the center of the tip measure about 8cm to the left and right. Connect the two points by drwaing an slightly oval line with the pencil. 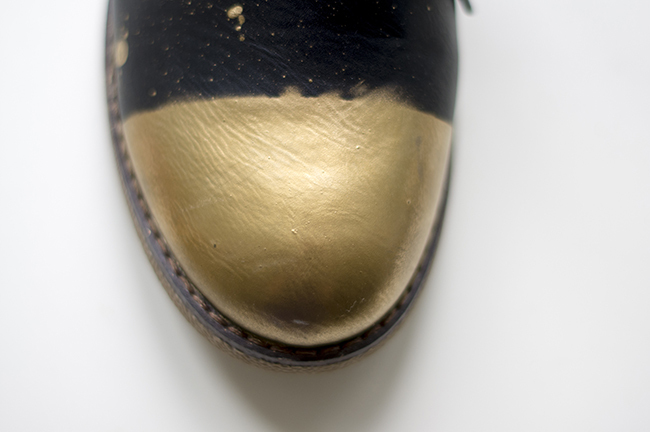 This is going to be your golden “nose”. 2. 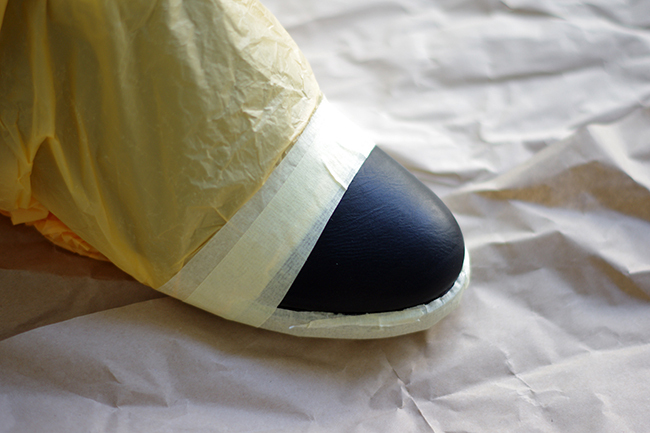 Cover the shoe with a plastic bag, leave the tip uncovered. 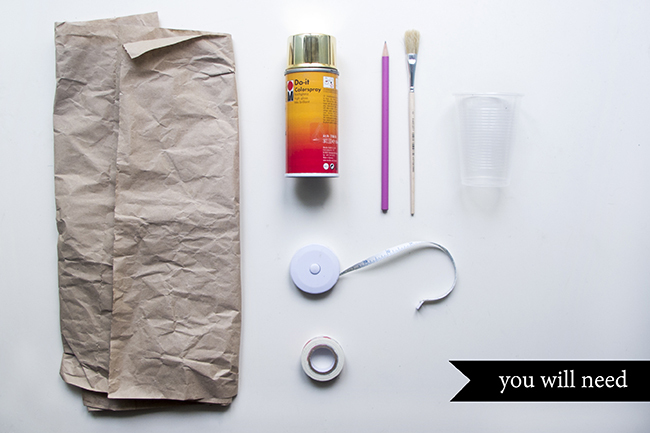 Tape the masking tape over the bag along the pencil line. 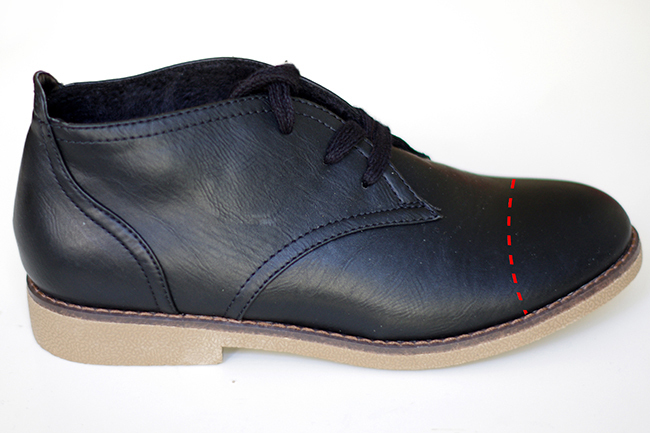 Since the line is a bit oval you’ll have to stretch the tape a bit to get the perfect shape. 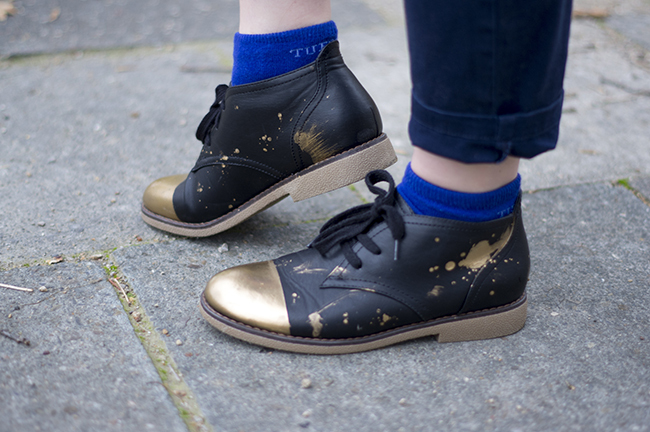 If you don’t what your sole to be spray painted, cover it also with the masking tape. 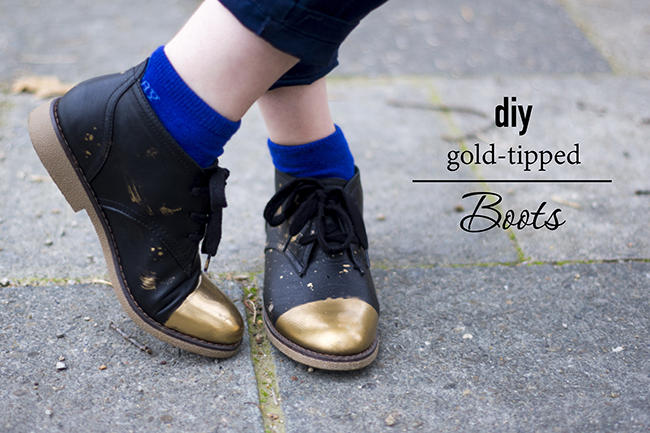 Make sure the tape lays really tight on the shoes. Use several layers if necessary. 3. Spray paint the 1. layer, then wait for 5 min until is dry. 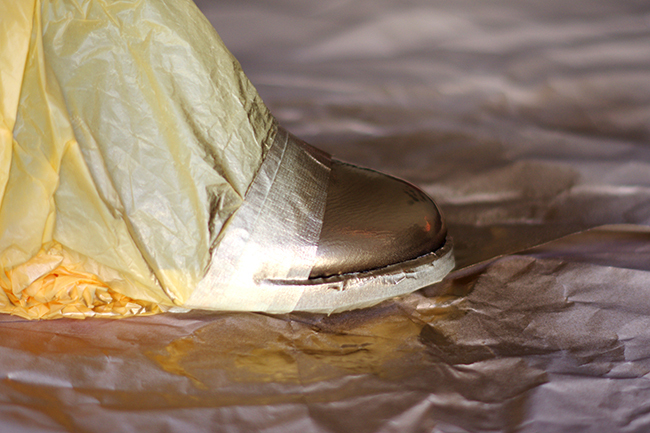 Spray paint again, wait for another 20 min and then carefully remove the bag. DO not spray inside your house. The color smells very chemical and the dust will set down on your furniture. As you can see I didn’t tape the tip correctly and some of the color got under the tape creating a blurred line. In that case you have two options. You can clean the line with the nail polisher and swab. 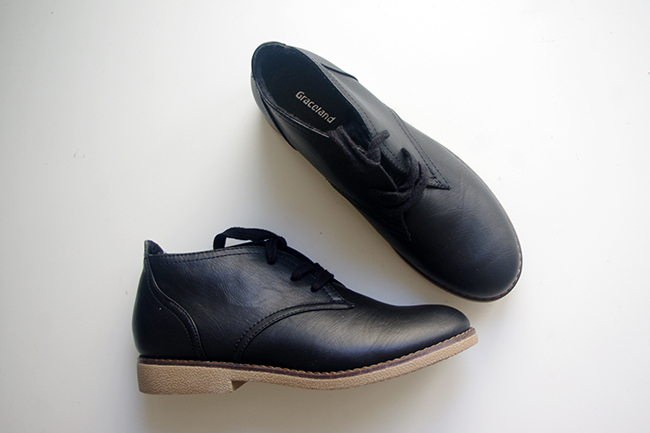 But this only works if you have small unevenness because the nail polisher attacks the color of the shoes. 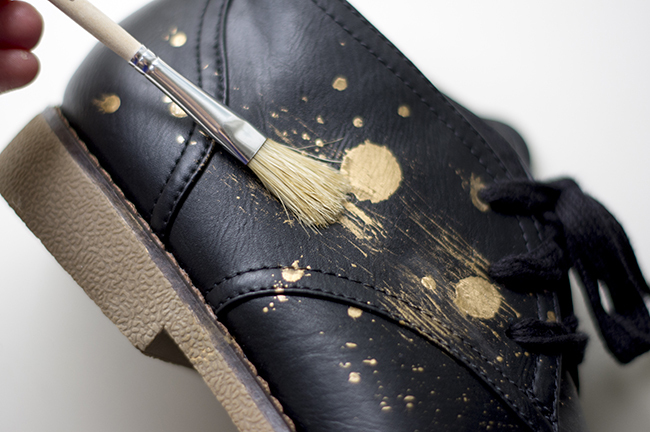 And the second options- you simple use the mistakes to your advantage and create a sophisticated “used” look by adding more paint smudges to the shoes. 4. 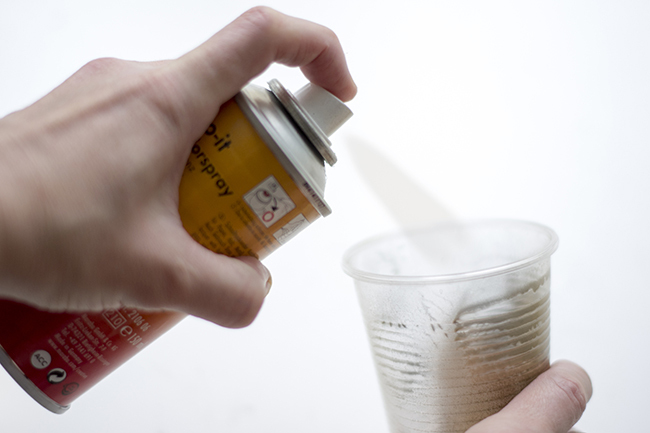 Spray the color into the plastic cup until you get several ml (oz). 5. 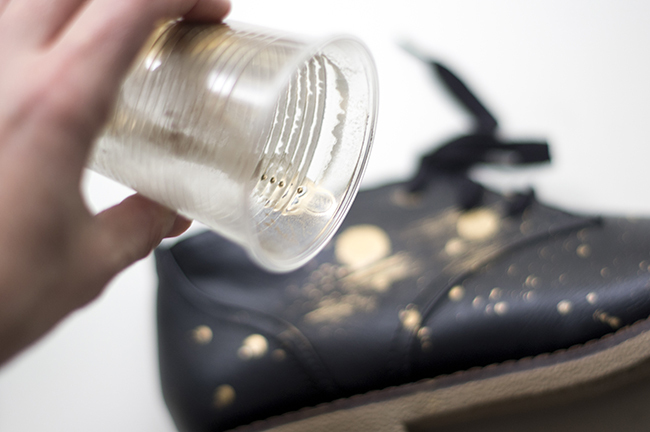 Drip carefully the color onto the shoes. If you afraid you can’t handle this technic I suggest you simply draw the stains with a small wooden stick. But honestly there is nothing you can do wrong. 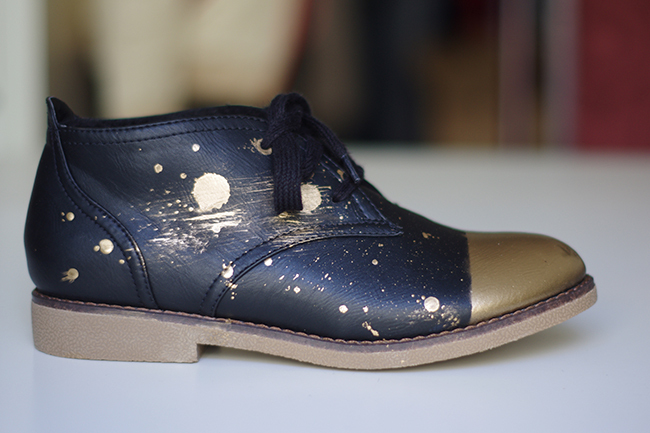 Get messy and create your unique design. 6. Additionaly you can paint some smudges with the brush.